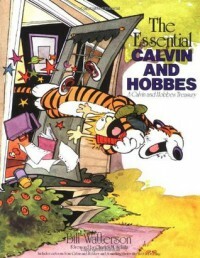 The Essential Calvin and Hobbes is the first two Calvin and Hobbes collections, Calvin and Hobbes and Something Under The Bed Is Drooling. I grew up with most of the books and comics but it's nice to have a version for my tablet as well. There were unfortunately no storylines with the snowman and the replicator (which are my favorite), but we did get a lot with Susie and the monsters under the bed. Calvin and Hobbes is still the best comic out there. I lament that there is not more, but I love what we do have available.